New India Assurance Company Ltd. had released the notification for the recruitment of 312 officers (Generalist & Specialist) in Scale-I Cadre in the month of December last year. 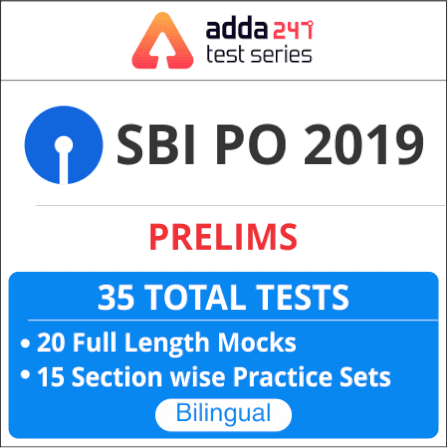 All those who couldn't perform well in the previously held SBI PO, Clerk, IBPS PO and other examinations got a second bite at the cherry with this notification. NIACL AO Phase-I Exam is scheduled to be held on 30th of January. Is the exam fear already getting on your nerves? Be at ease, it will and it's pretty natural when you are going to be competing against lakhs of candidates for a government job. Normal levels of stress can help you work efficiently, think faster and more effectively, and improve your performance. However, too much pressure and anxiety can affect your ability to concentrate and hence can mar your overall performance. So, you just have to make sure that you are unladen so the exam stress doesn't take a toll on you at the eleventh hour. You should try to get at least 8 hours of sleep every day to make the best use of your knowledge. Avoid pulling an all-nighter a day right before the examination for it affects your ability to concentrate during the examination. You can also try exercising for 15 minutes every day because it gets the blood flowing. It resets your brain, increases blood flow to the brain and prepares you for critical thinking and retention. Sort the important topics into a checklist and settle on how each and every topic is to be revised before appearing for the examination. Do not just pick up an entirely new topic during the time of revision, you will only make a botch of what you have studied so far. Also, make sure that the revision is followed by practice so it doesn't go waste. Full-length mocks are the best to practice with during these days so, make sure that you take one every day. Go for the examination with a proper plan so you aren’t barking the wrong trees while attempting the examination. If the paper seems to be easy, try to maximize your number of attempts and if it’s the other way round then focus more on accuracy. Avoid sticking to a question that's time-consuming, without wasting any time, move on to the next one. Also, remember not to mark an answer simply because it seems to be right, a shot in the dark might not always turn out to be right. 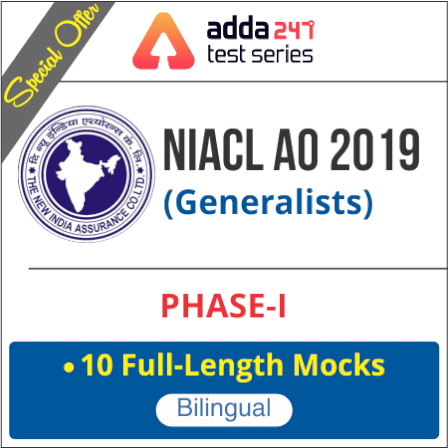 We hope you find our last minute tips helpful for NIACL AO Phase-I Exam 2019. All the best!